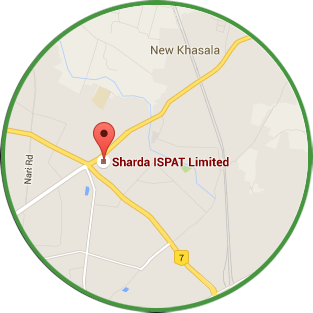 Round bars | Sharda ispat Ltd. Round bars | Sharda ispat Ltd.
Automatic PLC Controlled Mill for close tolerance to cater Automobile, Bright Bar and Forging Industries. 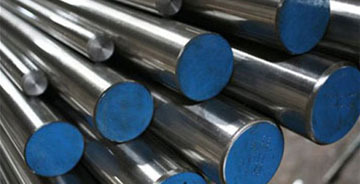 Rolling of various Grades of Alloy Steel, Carbon steel and apart from normal Mild Steel. Rack type cooling bed ensures straightness in the finished products. Rolling in fixed length as per customer’s requirement. ISO 9001/2008 system for assuring consistent better Quality system. Plain Chrome 50Cr4, EN18, 34Cr4, SAE5140, etc. Chrome Manganese 16MnCr5, 20MnCr5 etc. Chrome Moly EN19, SAE 4140, 42CrMo4 etc. Chrome Nickel EN36A, EN36B etc. Chrome Nickel Moly EN 353, EN 354, SAE 8620 etc.